Quick and easy cauliflower fried rice recipe, ready in less than 30 minutes on stovetop in one pot is an easy weeknight meal. It’s packed with vegetables and Chinese flavors. 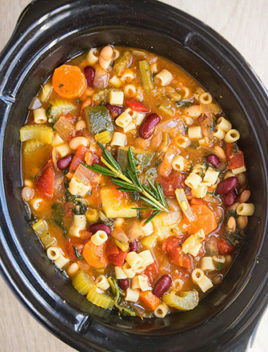 Many flavor variations are possible! The first time I had cauliflower fried rice, I almost puked because I overcooked it and it became very soft and “mushy.” Thankfully, I have learnt from my mistakes. 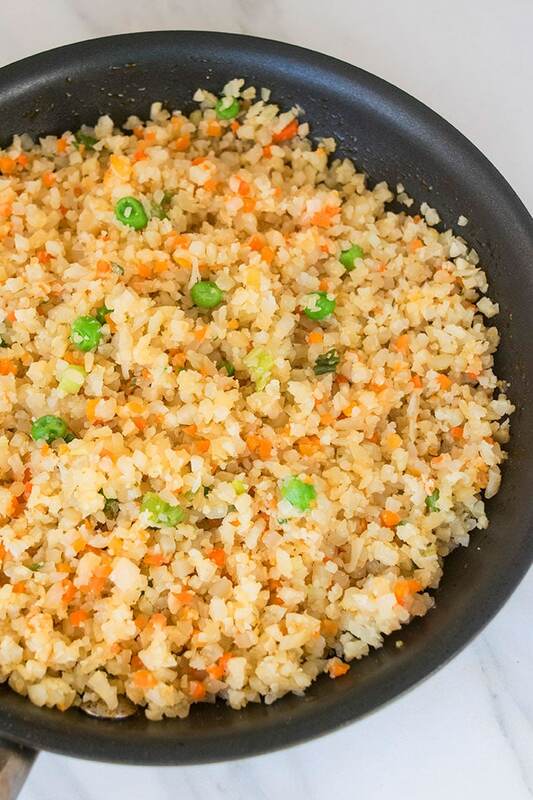 Cauliflower rice stir fry is a healthy weeknight meal! I was on the Whole 30 diet last month and this low carb cauliflower fried rice helped curb my rice cravings a bit. Don’t get me wrong… I still LOVE regular rice and this would never be able to replace that. 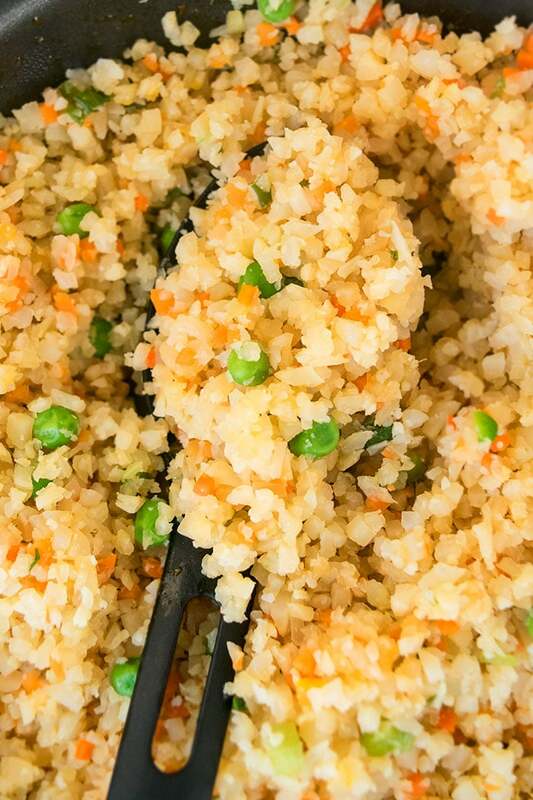 How to Make Cauliflower Fried Rice? In a nonstick pan, heat oil and stir fry onions, garlic, mixed vegetables and cauliflower rice. Season with salt, pepper, soy sauce, sriracha. Mix everything together until rice is tender and serve. How to Cook Cauliflower Rice? It’s typically used in stir fry recipes on the stovetop but you can also cook it in the microwave and oven. It’s rice that’s made by grating a head of cauliflower. Is Cauliflower Better For You Than Rice? Yes, it’s low carb, making it a healthier alternative to regular rice. Yes, most big grocery stores are carrying frozen cauliflower rice. Trader Joe’s cauliflower rice rocks! 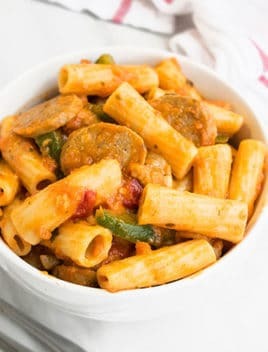 It has a mild “veggie” taste but if seasoned properly, it can soak up a lot of delicious flavor. 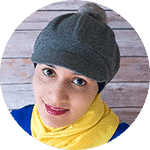 It’s light and fluffy has a firmer, chewy texture, compared to regular rice. What Can I add to Cauliflower Rice? In a nonstick pan, heat oil and stir fry some chicken until golden brown. Then, add onions, garlic, mixed vegetables, cauliflower rice, salt, pepper, soy sauce, sriracha. Mix everything together until rice is tender and serve. In a nonstick pan, heat oil and stir fry some shrimp until golden brown. Then, add onions, garlic, mixed vegetables, cauliflower rice, salt, pepper, soy sauce, sriracha. Mix everything together until rice is tender and serve. DON’T omit sesame oil because it adds a lot of flavor to the overall recipe. Add stir fried chicken or shrimp to make it a more filling meal. 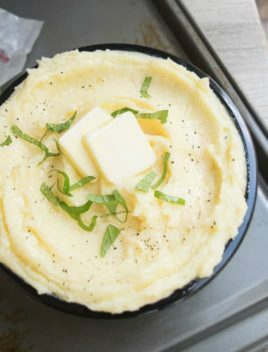 Fresh or frozen cauliflower rice can be used in this recipe. DON’T overcook this rice because that will make the rice very “mushy” and inedible. 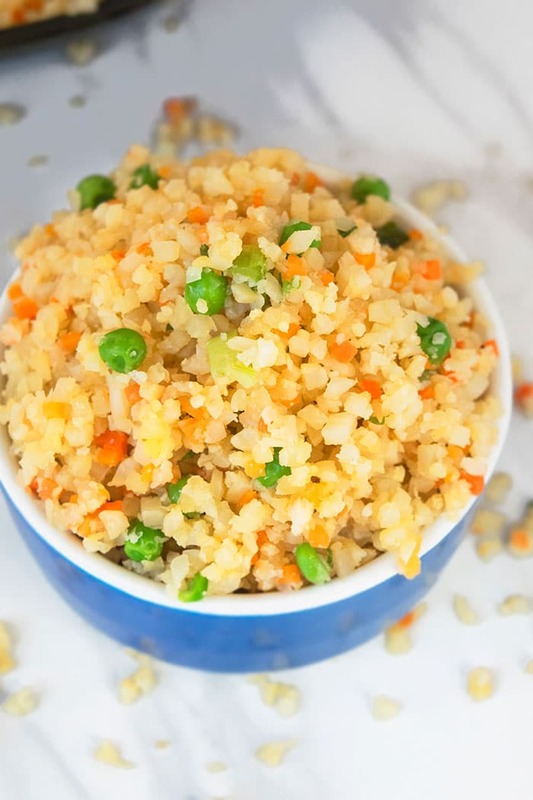 Quick and easy cauliflower fried rice recipe, ready in less than 30 minutes in 1 pot is an easy vegetarian weeknight meal. It's packed with vegetables and Chinese flavors. 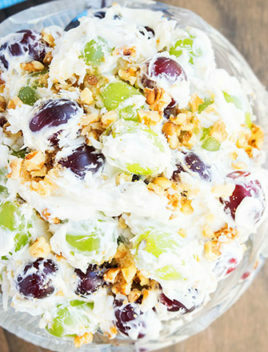 Many flavor variations are possible! Cut a cauliflower head into big chunks grate it in a food processor to make rice or just use frozen cauliflower rice. In a nonstick pan, heat oil over medium high heat. Add garlic, onions and stir fry until garlic is fragrant and golden brown. Add mixed vegetables, cauliflower rice and stir fry for about 4 minutes until the rice starts to become tender. Add salt, pepper, soy sauce, sriracha sauce and mix everything together. Push this rice mixture to one side of the pan and make scrambled eggs on the other side. Then, mix everything together. Prior to serving, drizzle some more soy sauce and garnish with thinly sliced green onions. Enjoy! 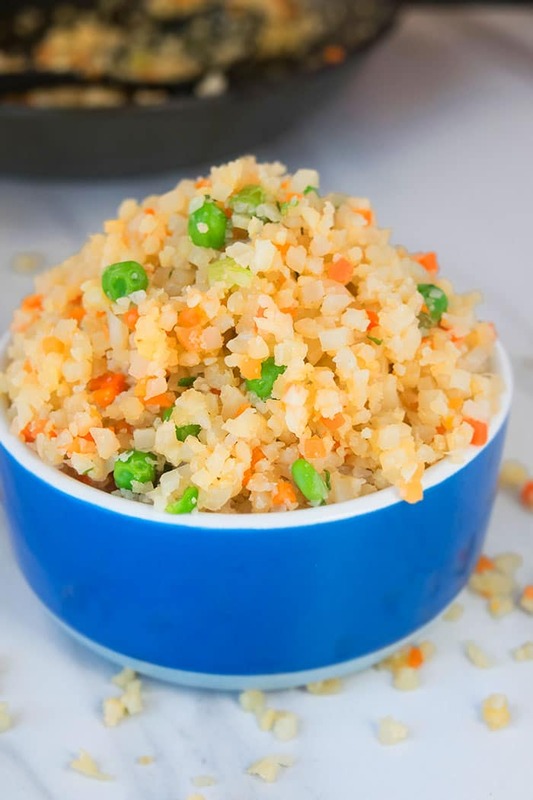 Cauliflower fried rice is a perfect idea and healthy option to a traditional rice.! What a great idea! 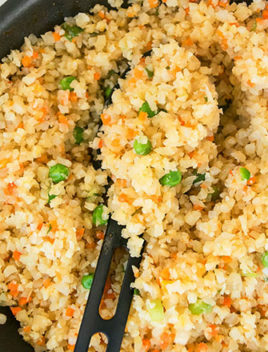 I love fried rice and often make it with quinoa instead but I love this alternative. Can’t wait to try it!